Opening Provocations – edited excerpts inviting you inside (transcription below). Are we really fired up over the right LOST things? To what degree would we be passionate about helping find a lost phone, a lost dog, a lost child? How about others who are LOST in their relationship with GOD? Many people think we should be like Jesus because he was someone who loved, tolerated, and was friends with everyone–that he accepted everyone and the personal behavior. 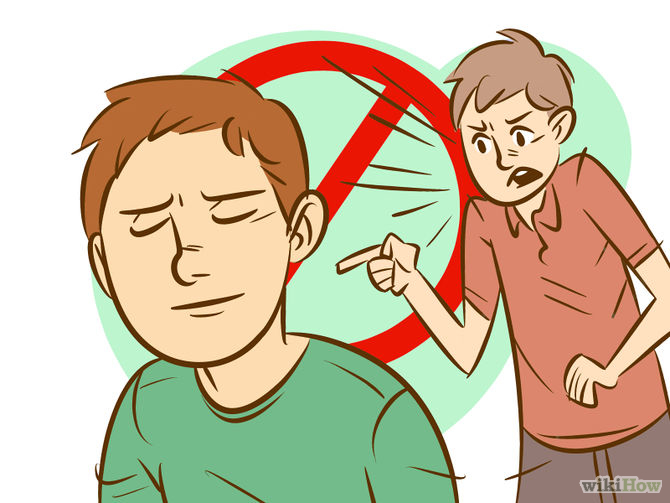 Others think that we should not hang out with people if we disapprove of their personal behavior. Jesus was like neither of the above. In the passage we’re going to look at today we’ll see that Jesus gives us the option to ACCEPT the PERSON but not their personal BEHAVIOR. 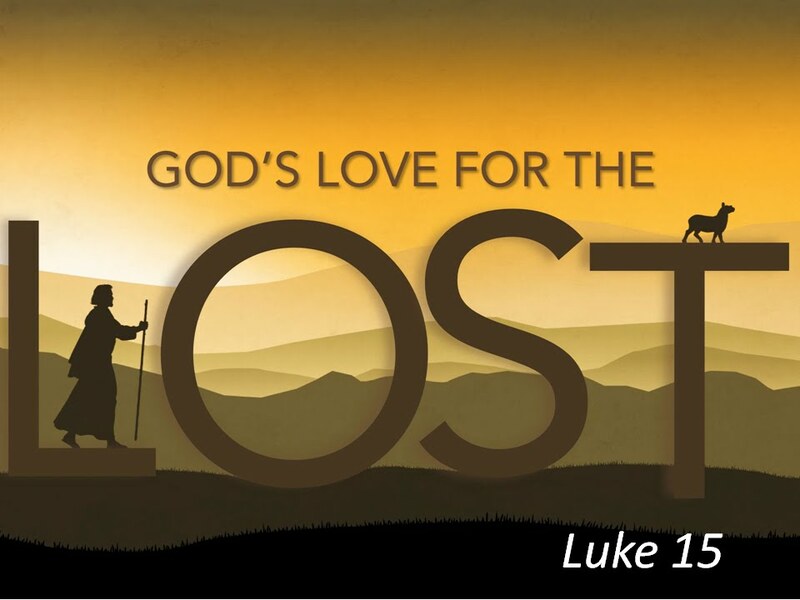 In the three ‘Lost’ Parables 1/100 SHEEP were lost, 1/10 COINS were lost, and 1/2 SONS were “lost”. Not only does the ratio magnify, but the significance of what is the lost magnifies as well… and it’s not just a sheep, it’s not just a coin, but now it’s a child… a son. Jesus is underscoring the value and the significance of people… particularly God’s heart for people, and what our heart is supposed to be for people who are lost in the relationship with God. a. We have a government that spends millions of dollars seeking life on some other planet yet spends millions of dollars ending life right here on this planet. b. We have 150 million orphans in the world without food, without water, without families, yet the cause of many a celebrity is some tree, or some cat, or something like that. We’re missing the understanding that people matter deeply to God. c. Walking across the parking lot toward a grocery store or shopping center you will often see bumper stickers promoting what fires people up… for example, people who think that everybody in the world should save Greyhounds or love Dachshunds… and think about it, that type of affection for a dog is something that only people in America could conjure up… because we have seemingly lost perspective of what it means to realize that PEOPLE REALLY MATTER TO GOD. “Some of you here at Kirkmont know that our church had a church wide canoeing trip a few weeks ago and the Borgelt family, we decided to sign up and rent a raft and go down the river together on this raft. And there we were floating down the river, and we had just taken a break a few minutes earlier on the river’s edge; and there we were floating again for a few more minutes; but all of the sudden, out of nowhere Amanda, my wife exclaims, “My cell phone”. And we look around the boat, we look in our pockets and we realize she has dropped her cellphone into the river at some point in time. Now we know it was in the last few minutes along the river because just a few minutes before when we were on the river’s edge she had it, and so we were forced with the decision, should we go back and try to find this cell phone… and then I started thinking to myself.. ‘ya know the cell phones probably damaged and ruined because of the water and even if we even if it’s not, I mean what are the odds of us going to be able to find this cell phone in the river. And so she says ‘okay, alright’… goes along with the idea… we get into the Verizon store the next day… and it turns out I was a year off (LAUGHTER). The guy explains to us, that’s no problem you can buy a new iPhone from us anytime you like… for $600. So there we are spending $600 un-planned money on a new phone and somehow this guy who deserves salesman of the year award from Verizon’s standpoint, convinces us that in the mist of spending $600 we absolutely needed an iPad to go with the new iPhone and so $850 later somehow I’m walking out of this place and it was just such a great deal and we couldn’t pass it up… the manager just likes us so much you know, and all this kind of thing. And then all of the sudden I pick up my phone and I don’t know maybe Facebook’s therapeutic or something, but the first thing I did I open up Facebook and there is the first post … it’s an image of like a 13 or 14 year old girl, and it says, “Dayton girl gone missing“… you know lost. And in many ways that’s what Jesus does here in our time together this morning. If you’re familiar here at Kirkmont, or you’re visiting us. We’re in week #2 of a six week series of going through Jesus’ most famous parable, the Parable of the Lost Son. In many ways, he kind of helps to reassess… are we really fired up over the right lost things? Do we have the right attitude towards lost people. Only he uses ‘lost’ in the different way. Not that we the church shouldn’t care about a lost 13 or 14 year old girl, by all means we ought to. But he’s talking about lost in the sense that anyone out there who’s lost, not in the relationship with a family member but lost in the relationship with God, and giving us, the church, the proper attitude that we ought to have towards those people. So I want to invite you to our passage together this morning. It’s found in the Book of Luke chapter 15. By the way, we talked about tithing a little bit earlier, one of the things we’re able to do because people support Kirkmont so generously is, we offer free Bibles here at Kirkmont. If you happen to be visiting with us or just don’t have one, or you want to give one to someone in your life… we have free Bibles that are now in the back of our sanctuary. You can grab them the middle of the service, or after the service; again either for yourself or for someone else. If you’ve got a Bible we would love to have you turn to Luke chapter 15 with us; if not that’s okay, it’ll be on the screen. Luke chapter 15, here’s what the Scripture teaches. So we learn that there’s Jesus with two different groups of people… one of the groups of people is called “tax collectors and sinners”, one of the groups of people is called the Pharisees. Now let’s talk about the tax collectors and sinners for a minute. We could go on and on about tax collectors and quite frankly bore ourselves about all historical detail about who tax collectors were… but in short it might suffice to say that tax collectors were usually Jewish people, who worked for the Roman government; and collected money, often an unfair amount of money from fellow Jewish people. They would bid on a village or community or a port where trade good came through, and if they won that bid they would have the right to tax those people or those trades that came through; it could be quite a lucrative job. But they were despised by other Jewish people because they had sort of sold out, if you will, on God’s people, and were working for the Roman government collecting money from other Jewish people. Now there’s also the expression, “sinners”… as if tax collectors weren’t sinners, and that’s exactly how they viewed them, but it’s almost like they hated tax collectors so much they wouldn’t allow them just a slip under the title of ‘sinners’, we had to pull them out, and say “tax collectors” and “sinners”, just to clarify. Now “sinners”… who do we mean by sinners? Well if you’re if you’re up on your Bible you know that the Book of Romans chapter 3 verse 23 says that “all of us have sinned and fallen short of the glory of God”… but that’s not at all what it has in mind here. By ‘sinners’ what the Scripture is saying here, what the language is referring to is those people who got to a place in their life will they are living as if there is_no_God; they have no regard for what God thinks is right and wrong in their life. That might be you this morning if you’re honest… you’re here, you’re visiting Kirkmont, and you’re newer to the idea of church, and right now you’re living your life as if there is no God… He doesn’t really shape or direct your life; or if that’s not you now, there’s a good chance that it was you at one time in your life.. right? So that’s what he means by ‘sinners’. This is a strong language. He’s not just saying, “Oh I have a few people who don’t have anything to do with God in their life and the kind of like acquaintances of mine…”, no, He’s welcoming these people in, he’s eating with them, he is for all practical purposes friends_with_these_types_of_people. And this is not something new for Jesus; in fact Luke records back in chapter 5 verse 27 through 32 that one of the early disciples that Jesus called was this type of person as well. “After this, Jesus went out and saw a tax collector by the name of Levi sitting at his tax booth. “Follow me,” Jesus said to him, and Levi got up, left everything and followed him. So you see this was a pattern of Jesus’… it’s not just like ‘Oh he happened to find himself at a meal with Tax Collectors and sinners.. .it was a pattern of his; it was how he lived his life and there was apparently a lot of tax collectors and sinners around him… as it said in Luke 5 and as Luke is pointing out in chapter 15. So not only is Jesus friends with these people but he’s apparently a pretty good friend, so that more and more of them want to be around him. Some of you are already starting to see some of the challenges coming out for Jesus’ life. Now, the Pharisees come along… they are there as well. Now, who are the Pharisees? … well we can talk again for a long time about the Pharisees, but the Pharisees are religious people; in many ways they are the opposite of the title “sinners” because they live their entire life according to God’s rules and laws and regulations. They are hung up on the idea of being obedient, as we talked about last week, trying to be so obedient that they could earn their way into Gods presence. 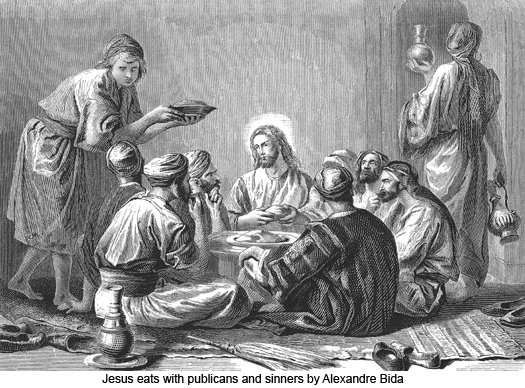 And here’s the Pharisees coming along and they see Jesus; He is in such close relationship with these tax collectors and sinners that He evokes the criticism of the religious people around him; and they criticize him because in that culture by by eating with someone, and welcoming them into your home, it is as if you were saying ‘this person is acceptable to me’… and they couldn’t imagine that someone who is religious like Jesus would make such a statement about these tax collectors and sinners. You see, the religious mindset back then was incapable of distinguishing between the PERSON and the PERSONAL BEHAVIOR… they were one of the same to them. So if you accept the person into your home and you eat with them… it is as if you were accepting the personal behavior of the person as well. I’m not making excuses for the Pharisees, they should have known better; but that was their mindset and that’s why they have such a problem Jesus eating with these people. Because to them, He was saying their lifestyles okay by welcoming them into his home and being in their home and eating with them. You know it’s interesting, some 2000 years later, here we are as a church and we have still continued in that mindset– the inability to distinguish between a PERSON and their personal BEHAVIOR. So therefore we have many churches who not only reject the personal behavior, but they reject the person as well… just like the Pharisees. But then there’s this new movement in the Church today… a new movement which says Jesus was NOT someone who rejected people… Jesus was someone who LOVED, accepted, tolerated, was friends with these types of people… but again they don’t separate the two, so they accept Jesus AND they accept the personal behavior… they accept the person and the personal behavior. You see why we have half the church out there rejecting the person and rejecting the personal behavior, and the other half is accepting the person AND accepting the personal… and yet Jesus doesn’t choose either of those options. The Church is so far off from the heart and mindset and the attitude of what Jesus shows us in the Bible; because Jesus in this passage is going to give us a different option… He’s going to give us the option to accept the PERSON but not the personal BEHAVIOR. And that’s what He does in the passage. Let’s not forget that Jesus accepted the people by dining with them; by befriending them, by welcoming them into his presence.. and yet, as we’re about to read, He still identifies this group of people as people who are LOST... they need to be found… as a group of people who are sinners, who need to repent. 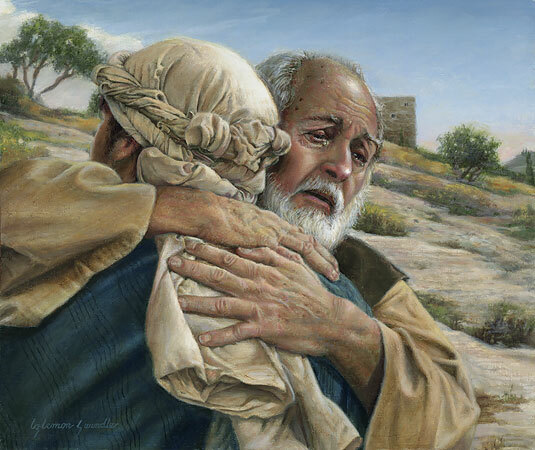 And then when He get’s to the parable of the Prodigal Son… He not only calls the son LOST and someone who needs to be found, but He also says “you were dead, and now are alive again”. “Then Jesus told them this parable: “Suppose one of you has a hundred sheep and loses one of them. Doesn’t he leave the ninety-nine in the open country and go after the lost sheep until he finds it? And when he finds it, he joyfully puts it on his shoulders and goes home. Then he calls his friends and neighbors together and says, ‘Rejoice with me; I have found my lost sheep.’ I tell you that in the same way there will be more rejoicing in heaven over one sinner who repents than over ninety-nine righteous persons who do not need to repent. And now we’re going to read just the first of our main parable that we looked at last week and we’ll continue to look at in the weeks to come. He tells not just one, but three 3 parables to speak to this audience of tax collectors and sinners and Pharisees. And you know what? … often times people heard these three parables and the think, “Oh, Jesus told 3 parables because it’s just another way of teaching the same exact thing. In case, you know, he told the parable of the sheep, but not everybody is into sheep and Shepherds and they might have been able to relate; and so he told another one about money and coins, but maybe some people aren’t in the money and coins; and so he tells another one about kids; and so maybe he’s just trying to tell the same story to three different types of audiences so no matter who is listening, they could grasp what he was saying. And there’s some underlying truth to that but I think if that’s our only understanding of the passage, were missing a real significant point of what Jesus does here. I want you to pay attention to how he escalates from the first parable, to the second parable, to the third parable. In the first parable of all the person loses one of how many things? …we just read it a minute ago, so I was kind of hoping you’d be, a little.. a hundred… that’s right, he loses one of a hundred; and he leaves the 99 to go find the others. So 1 out of 100 is lost… now you’re with me. Now in the second parable, the person loses one out of how many? …TEN… right, he loses one out of 10. Now in the third parable he loses one out of …. TWO.. two.. 1 out of 100, to 1 out of 10, to 1 out of 2. And not only does the ratio magnify as Jesus goes on, but the significance of what is the lost in of itself begins to magnify as well. The first thing is a sheep. Now there was some personal connection to the sheep, not quite like the family dog but I mean there was a love for sheep. But then it also had some monetary value to it as well, but none-the-less, each in its own place–it was a sheep. Now he goes and this woman loses a COIN. Now from out cultural stand point I don’t really get the 2nd parable, because when we hear coin we think, here’s your options: PENNY, NICKEL, DIME, QUARTER… big deal. BUT… back then, a Palestine woman, when she was married, she would’ve received 10 COINS, as part of her wedding celebration. And they had a lot of not only monetary value, but losing a coin was similar to like a woman today losing her wedding ring. So it had a lot of sentimental value. So now the thing is not just the sheep, but this coin, the significance; and then goes from one out of 100, to 1 out of 10 to one out of 2… and it’s not just a sheep, it’s not just a coin, but now it’s a child… a son. You see how Jesus is building… and I think what he’s trying to tell us is, not just to tell us three different stories that mean the same thing, but to show us the value and the significance of people… particularly God’s heart for people, and what are heart is supposed to be for people who are lost in the relationship with God. Friends, just like it seems so normal that you go and chase after a sheep, and you were go and chase after a coin; how much more important are people supposed to be? He’s helping the church to prioritize …the people who follow God to realize the significance of people in the eyes of the kingdom of God and particular those who are a lost in their relationship with God. I mean we have a government that spends millions of dollars seeking life on some other planet and spends millions of dollars ending life right here on this planet — people have missed this understanding. We have 150 million orphans in the world without food, without water, without families, and every other celebrity I hear their favorite cause is some tree or some cat or something like that, you know. We’ve missed this understanding that people matter deeply to God. You know here in Beavercreek, it’s an affluent community, and my wife and I quite frankly we really love Beavercreek… it offers a lot of things and we really enjoy this community and the area. But I mean there’ll be some bumper sticker that their whole back of their car thinks that everybody in the world should save Greyhounds, and rescue Greyhounds… everybody in the world should love Dachshunds… and I think about it… that type of affection for a dog is something that only people in America could conjure up… because we have sort of lost perspective of what it means to realize that PEOPLE REALLY MATTER TO GOD. And I think about, of ALL the need out there… come on. Here God is saying that particularly people who are lost in the relationship with him matter so much to him, that they ought to be the most important thing–that we ought to SEEK them like none other. Having them be lost ought to lay on our heart more than any_other_thing in this world. 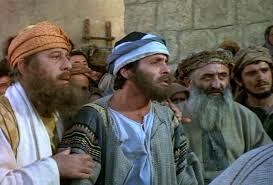 Yes friends, they are lost but don’t miss the parable that Jesus is inviting them to be found. Yes, they need to repent because they are sinners, they are living like God does not exist, and that frustrates the church sometimes; but don’t miss the parable here where Jesus is inviting them to come back to him and to experience his free grace and mercy. And maybe this is awkward to talk about because I’m assuming you’re a part of the church, and as I said from the outset, maybe you’re recognizing that that’s you… that you are you’re willing to admit that you’re the lost person in your relationship with God. Then hear the invitation from him that he’s not ignoring your personal behavior, but he’s also not rejecting you as a person. He’s inviting you, who are lost in your relationship with him to come back to him and to be found and to experience the grace and mercy that he has to offer you in the name of Jesus Christ. This parable, it’s challenging because it’s a story of two people who seem to be so very different… and we in the church, I mean I guess we’re supposed to identify more with the older brother in the story of the prodigal Son… and yet in this parable, it’s challenging because we can’t forget that these two very different people are called brothers, and they have the same father. And we in the church, we use terms like brother and sister don’t we… but what we mean by that’s a brother in Christ… that’s a sister in Christ; that’s someone else who’s already following Christ. And we have to come up with some other name for people who are outside of the church.. like pagan. Then this parable comes along and Jesus invites us to see these two people as brothers with the same father; inviting us to look at the lost people who are the people who are lost in their relationship with God in this world all around us. And to see them not just for their lostness, but to see the potential of them being found… of being a brother and sister in Christ… begin to see them through those eyes and through that lens already. You know back then in that culture what should have happened? What should have happened is the older brother would’ve been expected, in this situation that the younger brother leaves home and runs away, and is at risk in their life, and in living a dangerous life style, the older brother should have gone to the father, would have been expected to go to the father, and say, “Father, I will go retrieve your lost son.” That’s what they were supposed to have done. Friends, that is the type of heart that God wants us to have for those who are lost in a relationship with God. And my prayer is, as we’re talking about this, is that God is putting people on your mind and on your hearts and inviting you, challenging you, to make that bold proclamation before God today. There are empty seats around this place… at our first service, and at our second service. And I can’t help but be a little bit wired into thinking, that when I see empty seats, that that could be our friends, our neighbors, are co-workers, are family members, who are currently lost in their relationship with God. God is waiting for us… we have decision to make: are we going to continue to reject the person and the personal lifestyle, are we going to accept the person and the personal lifestyle; or are we going to do what Jesus did, and that is to accept the person, to reject the personal lifestyle and invite them to come into a relationship with Jesus Christ.